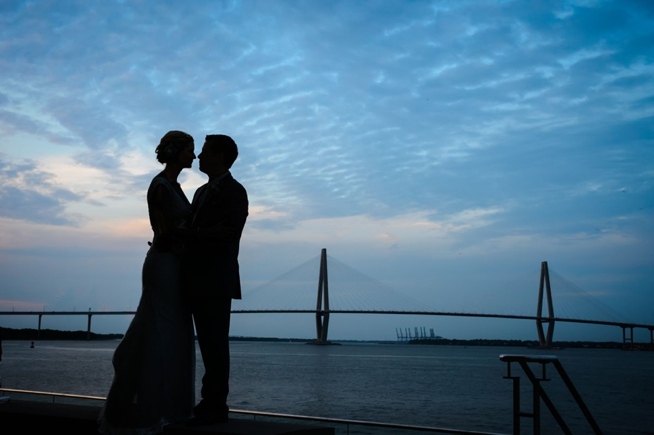 Wedding season is in full swing here in Charleston with “I dos” being traded on just about every street corner and church in the city. 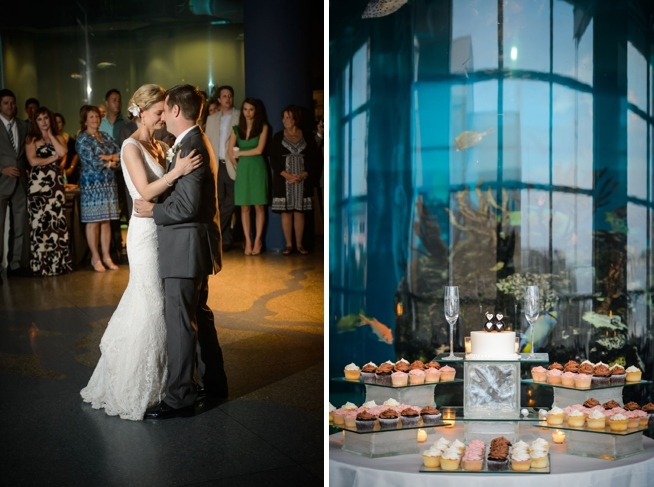 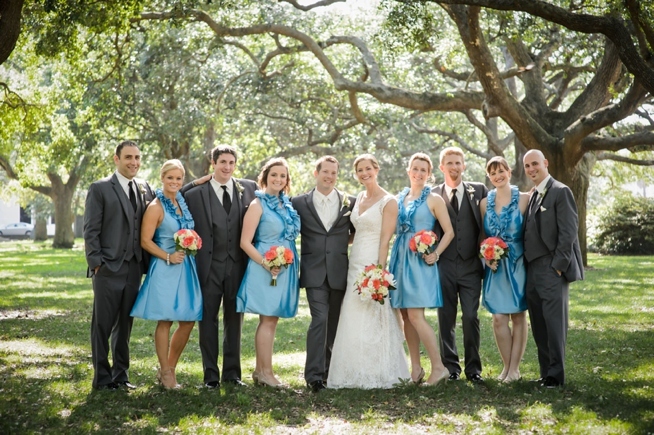 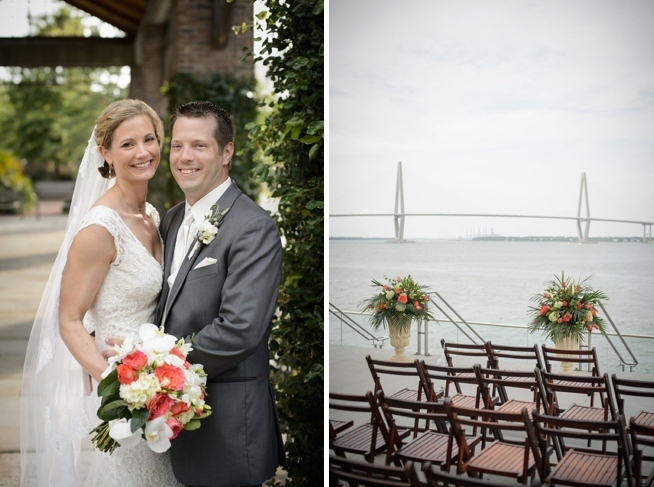 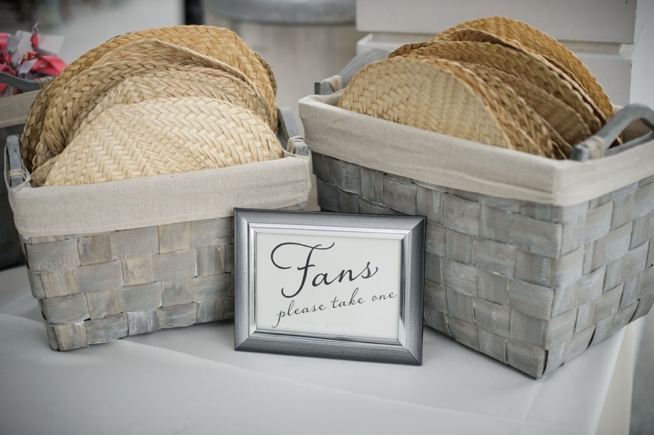 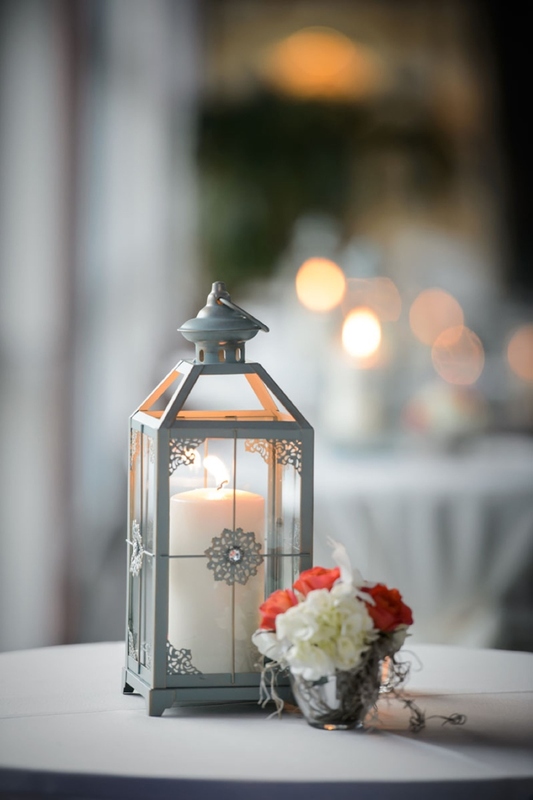 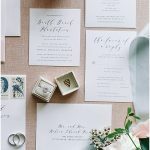 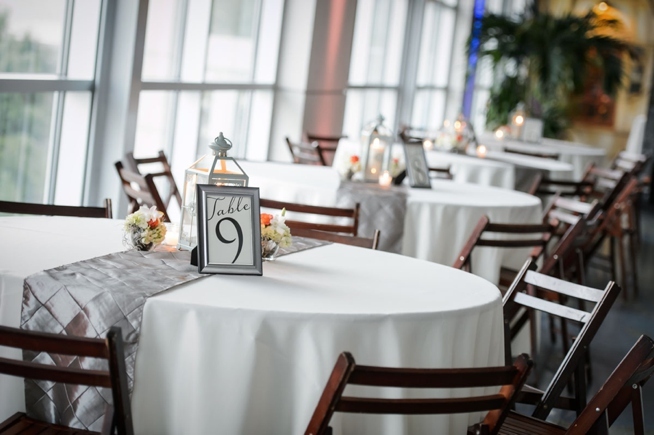 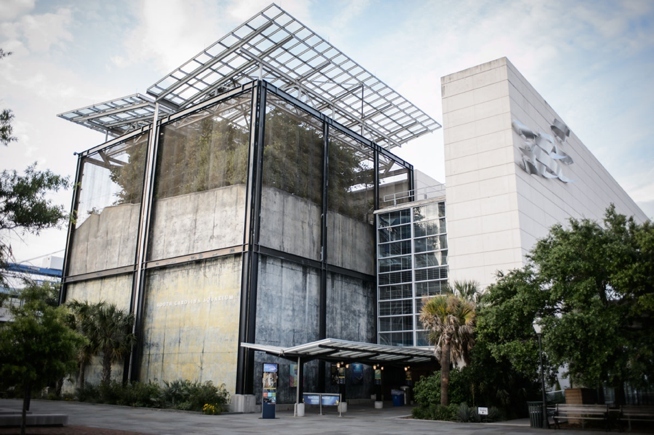 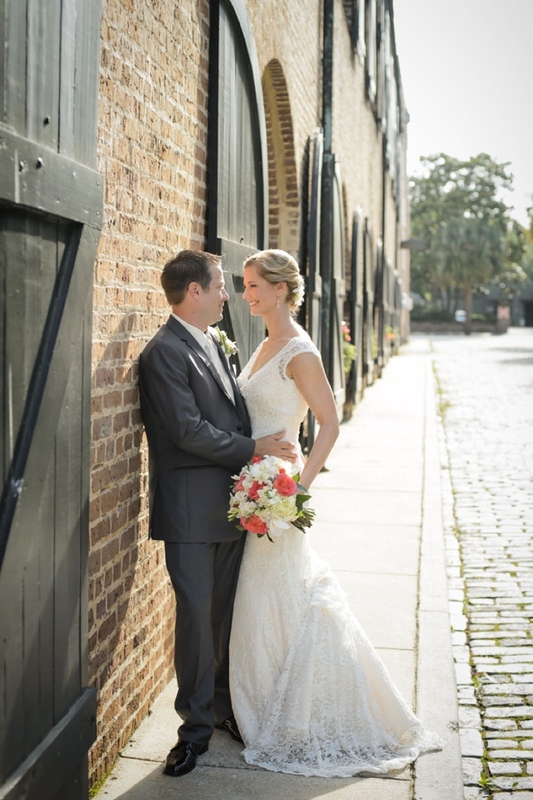 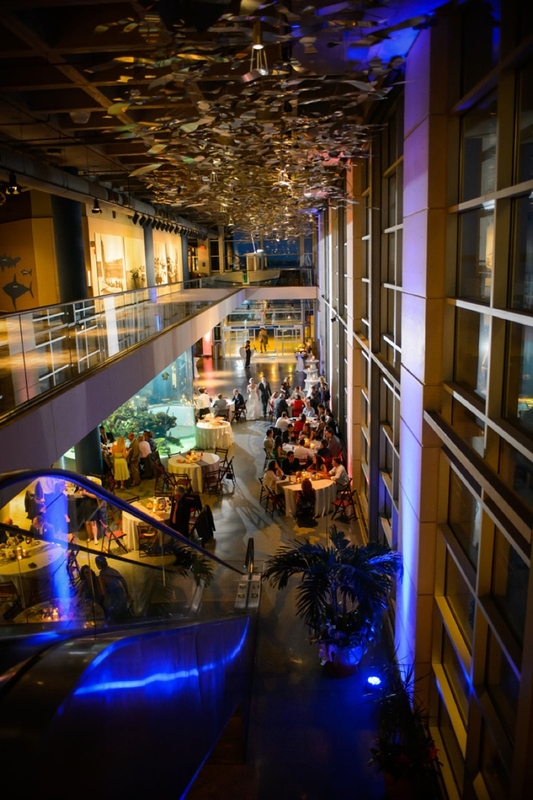 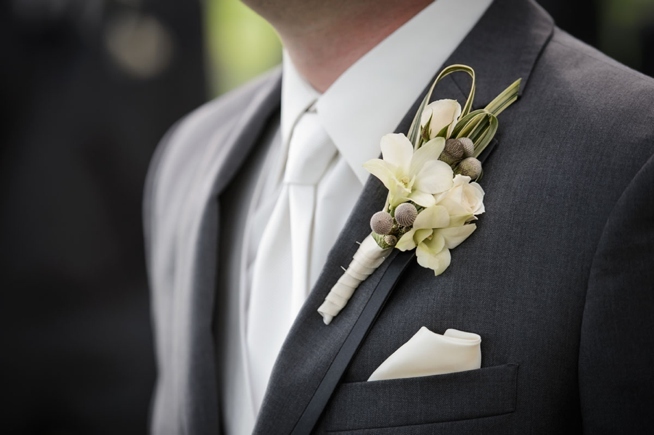 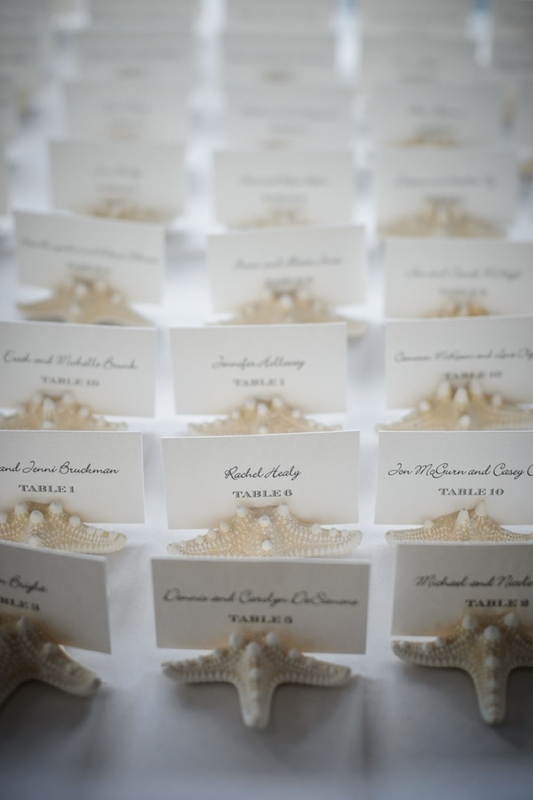 Today’s wedding, however, takes place at one of Charleston’s more unique wedding venues that not only serves up a killer view of the harbor and Ravenel Bridge, but also revels in sleek architectural details, high ceilings, and even sea life: the South Carolina Aquarium. 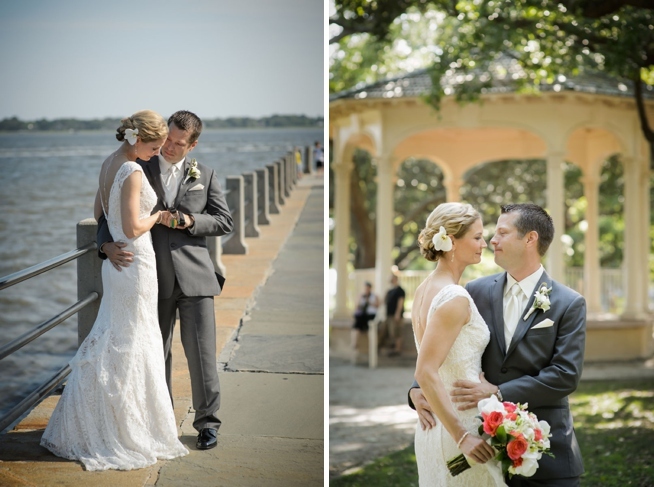 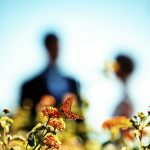 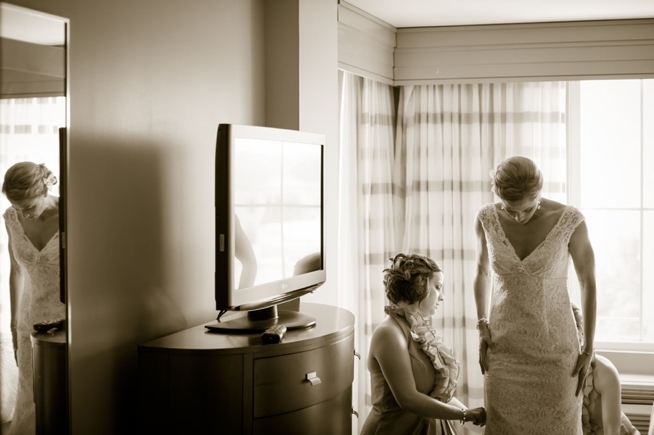 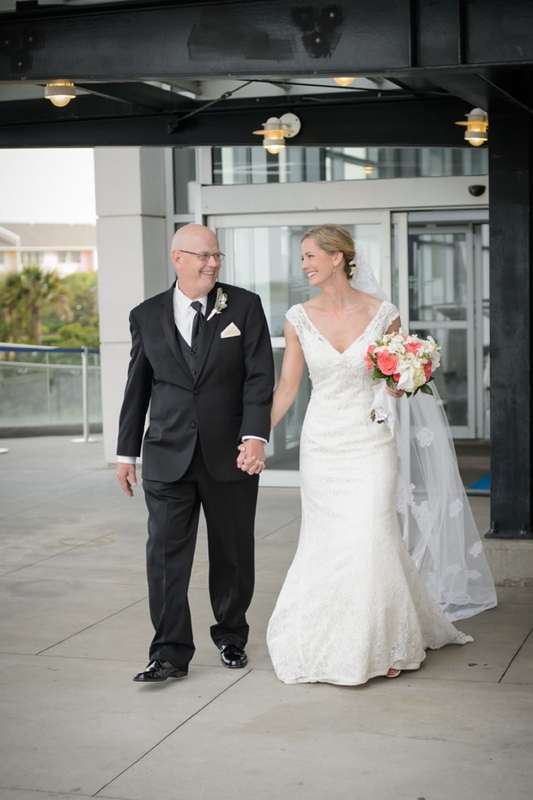 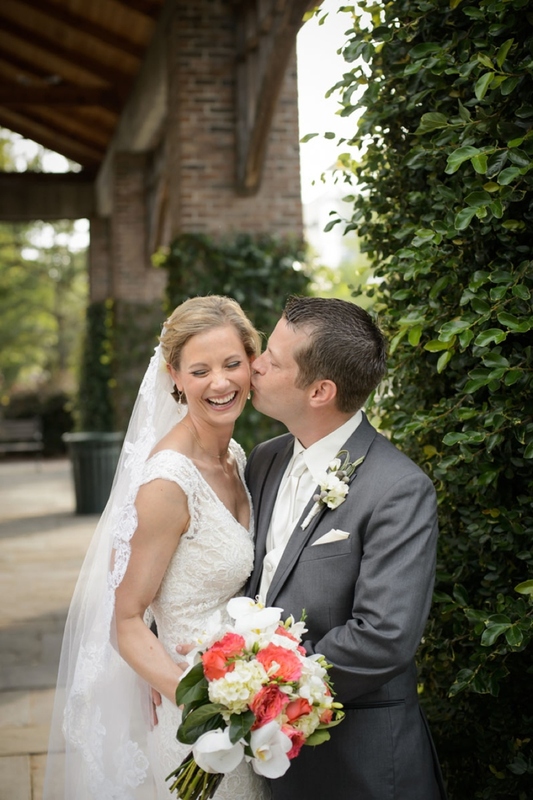 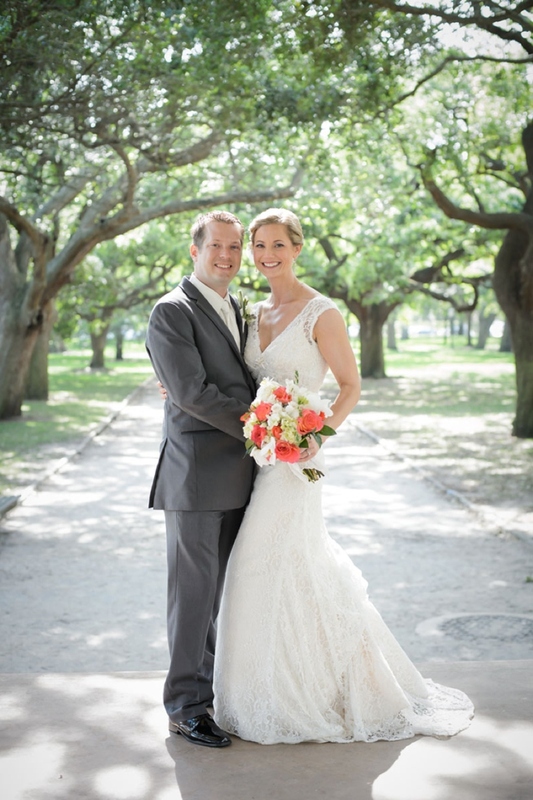 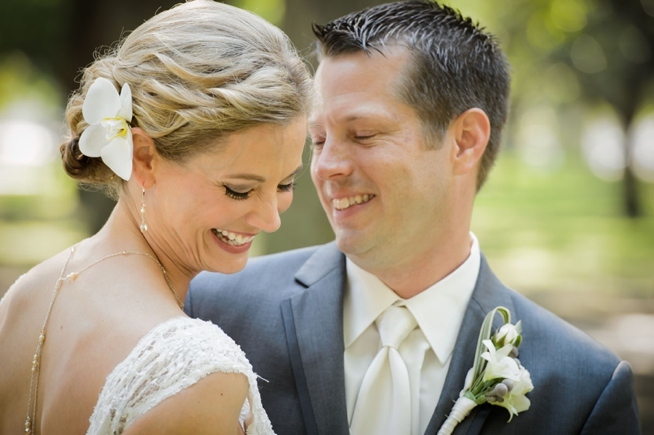 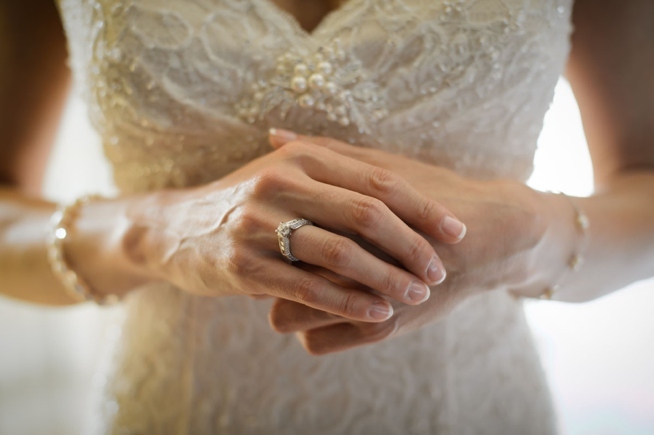 After sharing their first glance in White Point Gardens, Meredith and Gary took their time with their photographer Sposa Bella Photography before making their way to the aquarium. 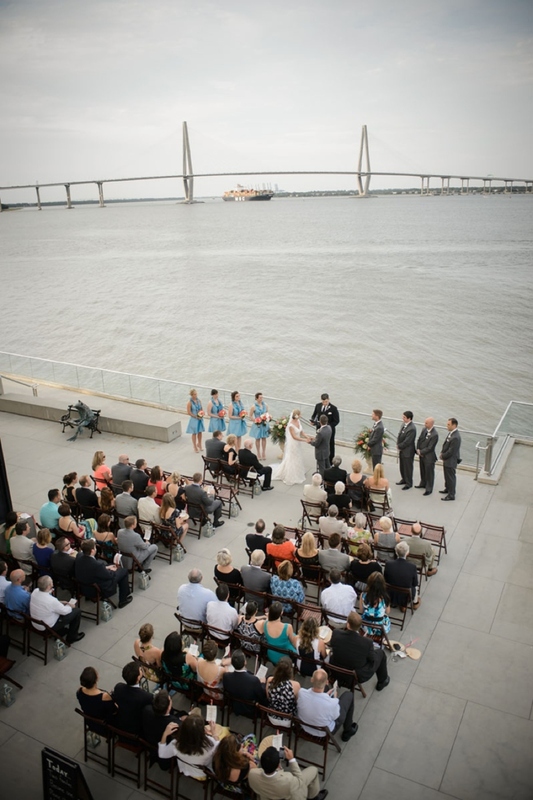 Once there, a waterfront ceremony was followed by dinner and dancing in the grand entry, and sealed yet another wedding experience unique to our fine city.